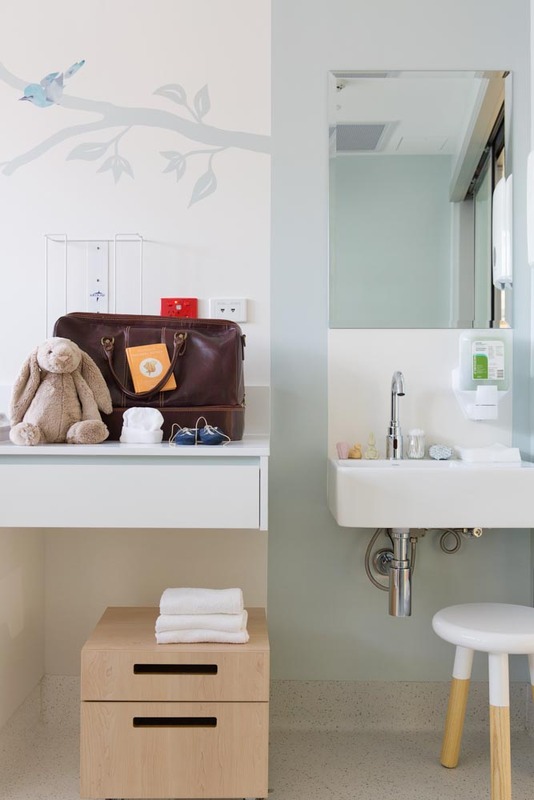 With the opening of The Poche Van Norton Special Care Nursery at Sydney's Mater Hospital last week, we can finally reveal the extraordinary interior spaces and the inspiration behind our design. The brief was to create a world-class facility that nurtures newborn babies as well as their parents. 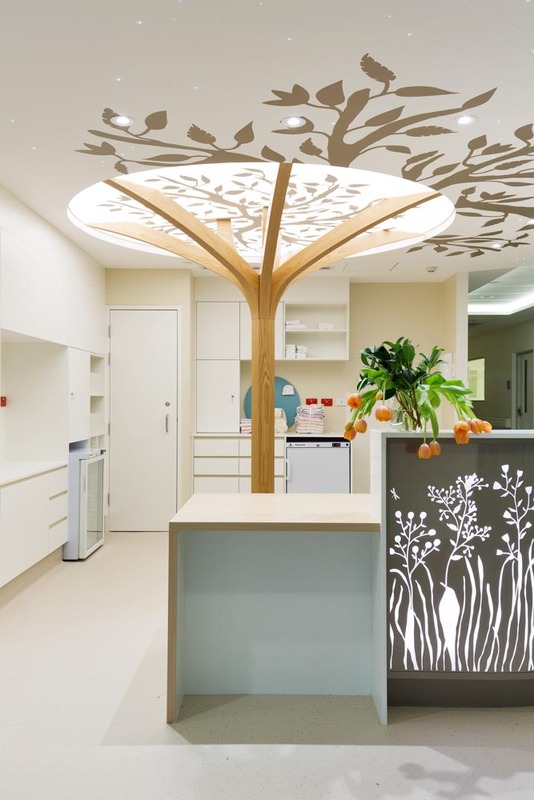 In an Australian first, the facility comprises individual rooms where the tiniest patients can be cared for in a private environment. 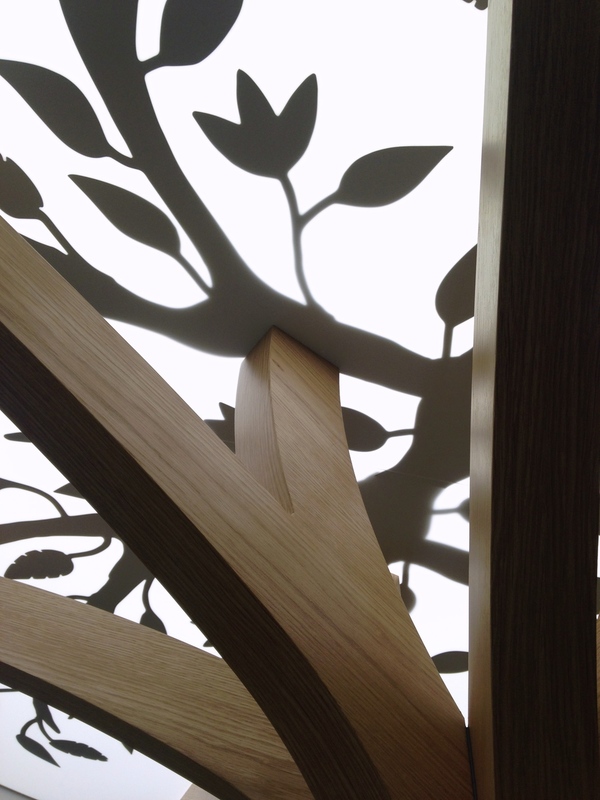 Our approach to the Special Care Nursery was to create warm and unique spaces that parents can personalise. Our experience in residential design influenced our careful selection of colours, materials and furniture not often seen in healthcare environments, in order to add a sense of 'home', comfort and security. Beyond a selection of hospital-grade paint colours, we responded with a concept design and a story to create a nurturing space for parents and babies experiencing stress at a highly emotional time in their lives. Extensive research had led to the conclusion that nature heals, so the seed was planted for a concept brief of a 'Tree of Life' with the idea being that the strength from the tree would ground visitors immediately upon entering the space; it's roots firmly planted for all to lean on. The design story grew in and around the tree and the juxtaposing forces of strength and fragility in nature. To complement the tree we introduced a mascot to bring our story to life. We wanted a mascot that could move and watch over the newborn babies, so our 'Little Bird' was born. The 'Little Bird' is a powerful and positive symbol of freedom, lightness and closeness, allowing us to emotionally connect with the space and it's story, which in essence is everyone's story. We loved the beautifully apt lyrics of the song 'Fly Little Bird' by Paul Weller which expresses the fragility and vulnerability of early life, but also emanates the potential for independence and growth and the ultimate aspiration for each of us to fly away from the nest. We identified three zones inside each room or 'nest' - the patient zone, the medical zone and the family zone. It was important that the medical zone stay as clean and clear as possible for safety and efficiency. Conversely, it was our aim for the family zone to be colourful, comfortable and homely with the ability to be personalised. Furthermore, it was important to give parents some control over their immediate environment whilst they were unable to control their baby's situation. In collaboration with artist Catherine Cordasco we developed a unique and exclusive identity for the Special Care Nursery. Her simplistic and innocent watercolour illustrations evoked an emotional chord within all of us. The third floor of the new Mater extension is not only allocated to the Special Care Nursery, but it also houses the General Nursery so we have ensured the journey from one space to the next is sprinkled with glimpses of the theme to help ease the transition for parents. Finally, to create a great distraction and some fun for everyone, we developed three murals around the theme of the tree and nature, including a beautiful underwater mural which is a nod to the beloved fish tank that resides in the existing maternity wing.